The sea, the mountains, tasty food, nature and dynamic experiences. 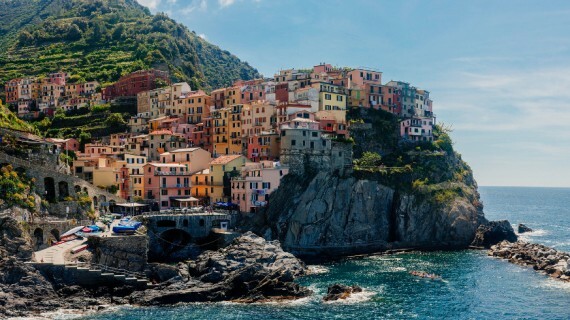 Liguria offers anything a traveller could look for. 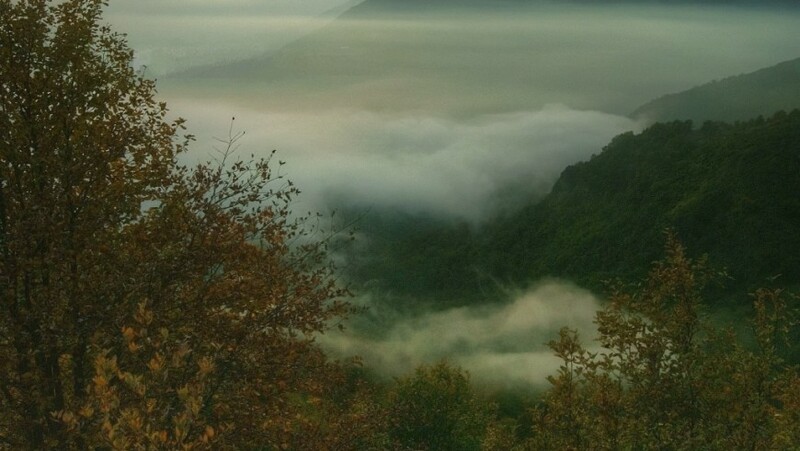 We invite you to discover it from above, through a breathtaking and ancient path: the Ligurian Mountains High Route. 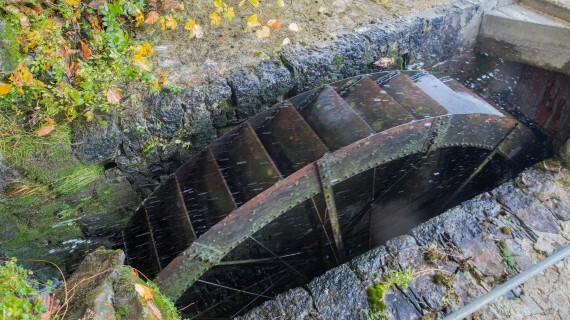 From one border of the region to the other, to find out the most secret corners of it. Who has never wondered how people could move around, centuries ago? Not only before the invention of the cars, but even earlier. When there were no carriages and many could not afford having a horse. Well, you can have a revival of that age, through a fascinating itinerary, halfway between the earth and the sky, the peaks and the coast. It is the Ligurian Mountains High Route, 440 km of paths to explore the variety and uniqueness of Liguria. The Ligurian Mountains High Route was walked by people since prehistory. It is made of 44 stages, linking the extremes of the Ligurian land, from Ventimiglia to Ceparana, near by the border with Tuscany. It’s feasible all year long, stopping over for the night in one of the several refuges and agritourism. Green meadows and rocks, the Alps and the shore, the Apennines and the valleys. The High Route is perfect for everyone, to discover the deep essence of this land. 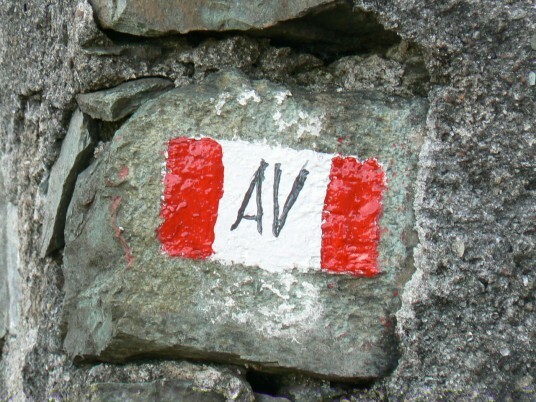 The path is tracked by a red and white blaze marked with “AV” (stands for “Alta Via“), to be oriented among the different trails. You can walk among sunny corners or shady woodlands, often surrounded by surreal atmospheres, emphasized by holographic foggy now and then. 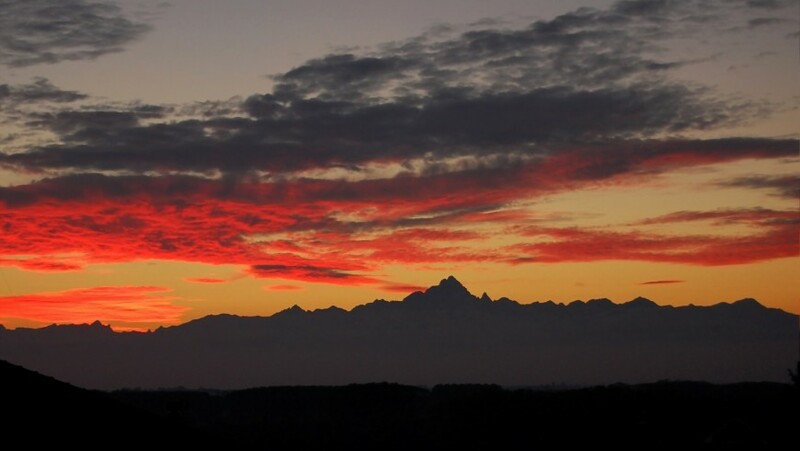 And with a breathtaking landscape: when the sky is clear, you can see at the same time the tops of Monviso and Monte Rosa and the Corsican shore at the horizon. Some of the stages are short, sidetracks to get to or leave the High Route. Many others are hiking trails, some of which require many days, as the route n. 53 from Portofino to Passo della Scoffera, and the n. 70, from Mount Zatta to the High Path of Cinque Terre. Map of the 44 stages of the High Route. Val Nervia: an itinerary in 4 legs, starting from Ventimiglia train station, to the Alpine landscapes of mounts Toraggio and Pietravecchi (more than 2000 meters high). Ligurian Alps: 5 legs, quite demanding because they lead to the roof of Liguria, mount Saccarello (2200 meters), cheering travellers also with amazing views on the Tanaro and Arroscia Valleys. 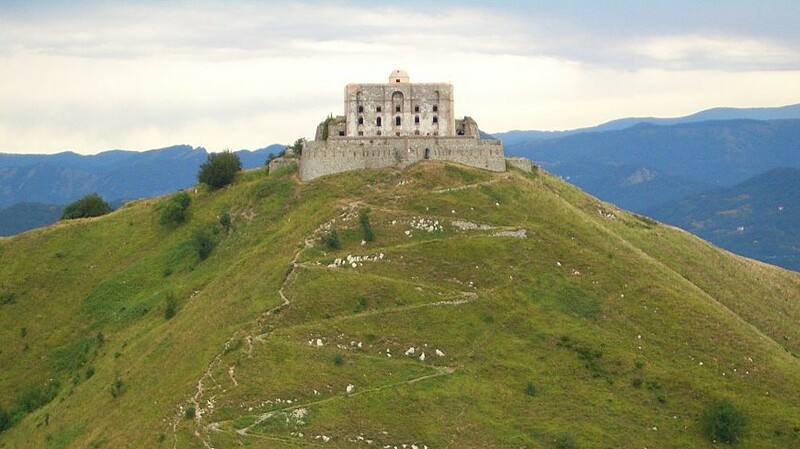 Melogno: the 6 stages of this itinerary lead to smaller altitudes, among the Savoy fortifications, the hills Colle Scravaion and Colla San Giacomo. Beigua: one of the most dense woodlands in Italy, it hosts the Natural Park and it will surprise you for the richness and variety of its flora and fauna. Praglia: 6 legs near by the Regional County Seat, characterized by 1000 meter peaks facing the coast. Scoffera: this path gets to the village of Barbagelata, the “highest” of the Route (1090 meters of altitude), the mount Antola and the Aveto Park, until mount Ramaceto, known for its particular amphitheatre shape. Zatta: some of the most distinctive stages of the entire Route, as mount Aiona, with its moony aspect in winter due to ice channels, the areas of Prato Mollo and Passo di Cento Croci. Vara: through the most organic valley in Italy, here’s the end of the High Route, but not without one last hard hike on mount Gottero (more than 1600 meters high), then following the course of the river along the Park Montemarcello-Magra. The part of the Route above Genova is one of the less known (Praglia stages), perfect for those who whish to experience essential atmospheres. Around 55 km between legs n. 21 and n. 26, keeping the main city as reference point. Indeed, those already on the High Route can exit (through the Crocetta d’Orero passage) and organize a trip to the forts system in the neighbourhood. Viceversa, one can start from the city to visit the forts and finally reach the big trail. A pretty suggestive solution for those leaving from Genova is to use the narrow gauge train, which links Manin Square and the town of Casella in one hour. From Passo del Faiallo to Passo del Turchino (two passes), getting through Praglia and Passo dei Giovi, the sight is all but boring. There are the city, the shore, the hamlets and untouched nature. 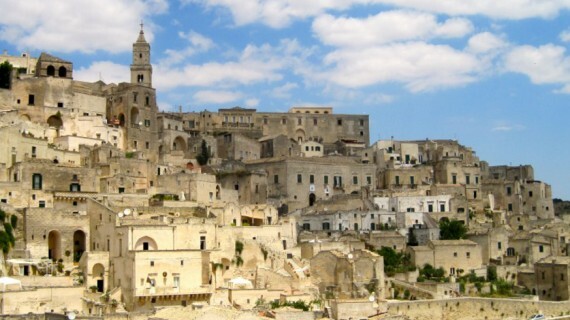 And don’t miss the chance of tasting Genovese typical products and cuisine, as the well-known pesto but also the fried dishes of the local municipalities. The High Route, besides the remarkable length and its peculiarities, is also the arterial road of a trails network spread among the entire region. During the ancient times, those were walked by merchants, shepherds, woodcutters. Then abandoned for centuries, after the advent of coaches and engines later on. For a few years, they’ve been restored and made accessible again, with a great signage system. All thanks to the volunteers of the Italian Federation of Rambling and the Italian Alpin Club. Each accessible trail is provided with a detailed sheet, made to give the basic information to hikers. There are explained the path features, the difference in altitude, the length, walking time, degree of difficulty and how to reach the track via car, bike or public transports. Moreover, the local available accommodations are suggested. Assisted trails have been set, thanks to a devoted Regional Projects and to funds from the Ministry and from the Region, to make disadvantaged people enjoy the experience as well. Those trails are suitable for visually impaired people, disabled, elders and families with very young children. 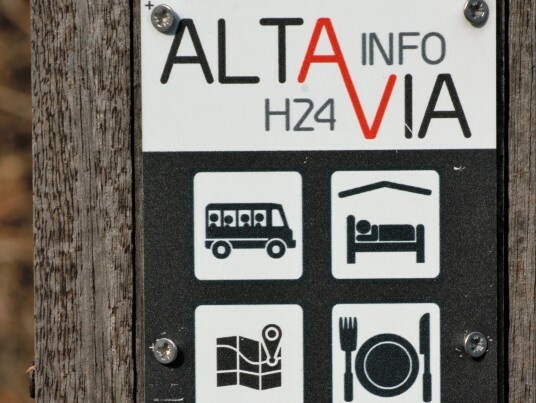 These sections of the Route are all nearby Alta Via Services Centres, which provide also guided trips, as well as shuttle transportation to the rural areas. From the beach to the wood, through panoramic slopes, now snowy and then luxuriantly green. The High Route is a journey through natural wonders. 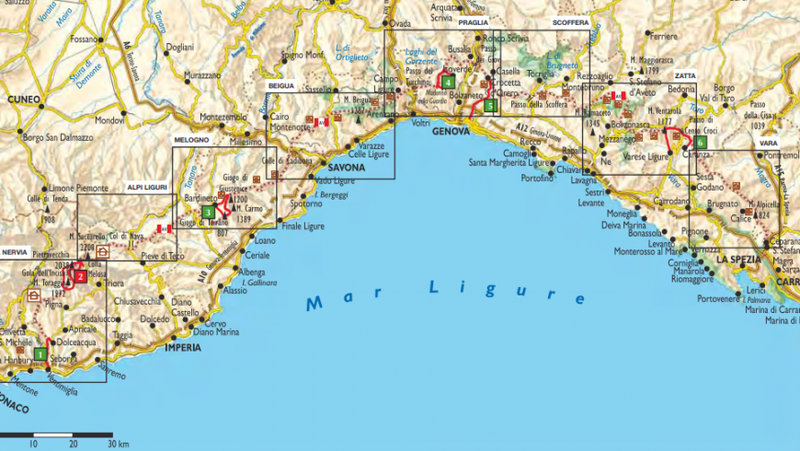 It crosses four important Regional Parks, from west to east: the parks of Ligurian Alps (from leg 3 to 7), Beigua (legs 19 and 20), Aveto (from n. 31 to n. 35) and Montemarcello-Magra (leg 43) parks. 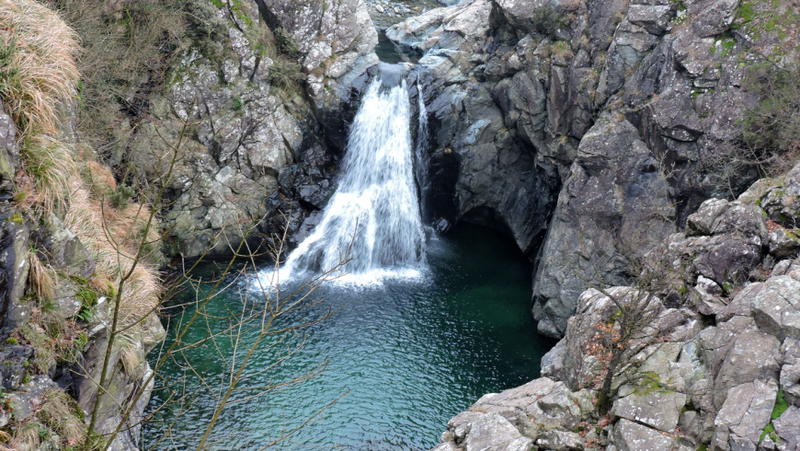 The High Route represents an excellent connection link also with the other Ligurian natural protected areas: for instance, from stage n. 17, taking the trail “Bormida Natura“, one can reach the areas of Bric Tana and Piana Crixia. 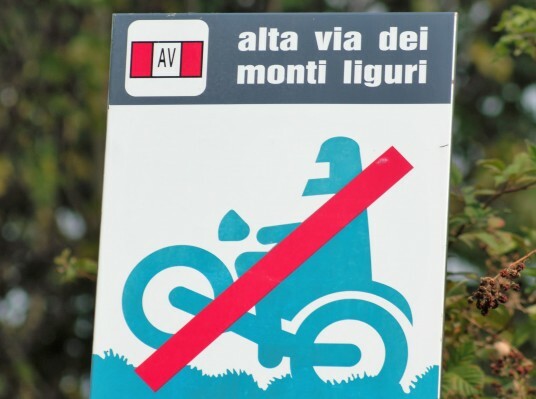 There’s one not-to-miss detour, for those in the territory of Genova: mount Antola. Exiting the High Route after the leg n. 26, a trail leads to the namesake Regional Park, where during the spring – with a dash of luck – it’s possible to admire the beautiful blooming of narcissus. Not only nature: the Ligurian Mountains High Route holds an important historic and cultural heritage. For example, the ancient rural settlements on top of the mountains, in several spots along the path, as around the villages of Realdo and Canate. And then castles, museums, medieval hamlets, stone bridges and the traditional festivals in the hinterland. Everything is easily reachable, because of the dense connection tracks we’ve presented. And for the adventure lovers, for whom wanders are not enough, there are many activities to do. Paragliding, with different take-off areas, among which the Turchino and Faiallo Passes, mentioned earlier. During the winter, one can practice cross country, off track and ski mountaineering. In the Aveto Park, there’s the chance to do canyoning. 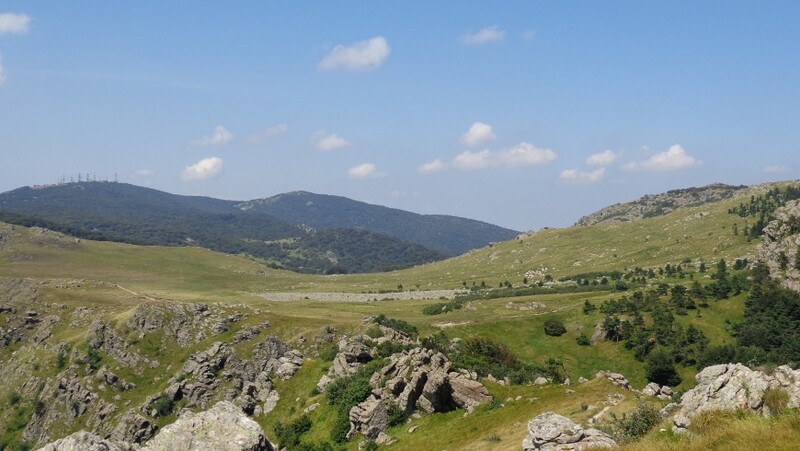 And finally, nearby Mount Beigua (leg n. 20), one can do sport hiking or explore the tons of hiking trails spread among the whole Route – remember that it’s 440 km long! The Ligurian Mountains High Route gives a 360 degree experience. There’s anything, whatever the preferences. The sea and the mountain; the history and the nature; the adventure and the quiet of an untouched place. Lonely hikers who love exploring, families on a day-trip, weekend tourists that want a relaxing but unforgettable experience: nothing else to do other than leaving to discover the beautiful Liguria, from an unusual perspective. 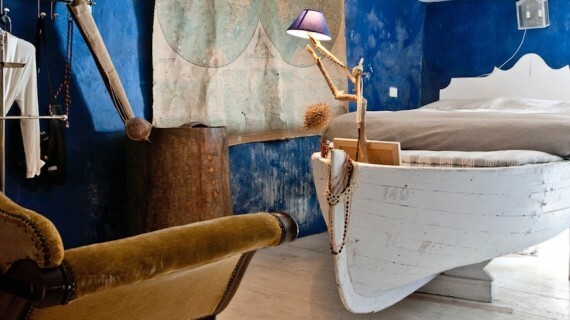 And to get some rest after the walk, choose one of our Ecobnb in the region, to feel all day long – and at night too – connected with nature. Student, manager-to-be, travel lover. It doesn't matter where, but go, never stop. Thanks to this belief, I've learned the value of being environmental friendly and I try to be a responsible citizen and traveller. I think that the best way to live in our constantly changing world is to be open-minded, to catch all the opportunities that come on our way. This entry was posted in journeys, weekend and tagged Alps, Apennines, authentic Italy, Italy, itineraries, Liguria, natural parks, nature, slow itineraries, slow tourism. Bookmark the permalink.